It will come as a shock to you all, I know that it’s Friday, another week closer to Christmas and yup, we are all still so sick. Is it even possible to still be so sick after 9 weeks? Or am I just in the longest nightmare of my life and can’t wake up? Even both my kids have been sick for almost as long. The amount of medicines and doctor visits we have had in the last 9 weeks is astounding. I just can’t wrap my head around it. We must just be giving it back to one another over and over again. So whilst I won’t say Happy Friday Everyone like I used to, I will put my jolly hat on for a moment and share with you the #littleloves that we are loving from this past week. 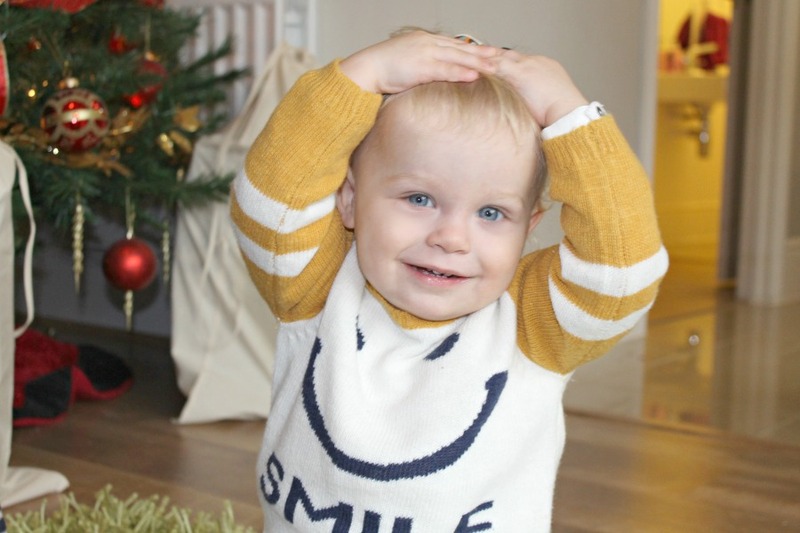 Joining the lovely Butwhymummywhy and her supportive linky crew. I am branching out with my music for you all and came upon this one. Catchy and upbeat but verdict still out? What are your thoughts? I have not had a moment to watch tv but I did get to catch the Hunger Games new movie out with my best friend! It didn’t disappoint and I can’t wait for the next installment. It felt so good to get out and go to movies and dinner with her. We both have been so busy we needed a good catch up! I hope I am not over kill with my vlog sharing but here is my latest vlog, Christmas Decorating on a Budget. It was my second feature for Mum Talk TV so its not on my own channel so I thought I would share. I basically give you a home tour of all my Christmas decor of my traditional tree, my modern tree, and my pastel christmas tree. Yes, I have three but I share with you tips and ideas on how to do a fabulous show-home Christmas without breaking the bank! I am saving some of my new clothes haul for next week as I didn’t have a chance to capture them this week being sick I have pretty much lived in sweats. Shhh don’t tell anyone. So the kiddos are taking over today with what they have been wearing. While everyone keeps saying Missy Moo looks like a boy in this, I absolutely love this Smile sweater and thought she looked so cute in it. You can’t see but she had gorgeous flowery tights on to match it. Both kids are adorned in Next clothes lately. There winter collection is the kinda style I love on my kids. I love Buba in navy stripes and solids. It really suits him. They have tons right now. Lately, I have been known to try to strength the time length in each size and when nursery asked me to send them in clothes that fit, I really knew I had gone to far. Bad mommy so the kids got a few new clothes from Santa early. I have been baking up a storm this week but can’t share with you just yet as the recipes and photos are for two different companies so I will be sharing them soon as they publish them. 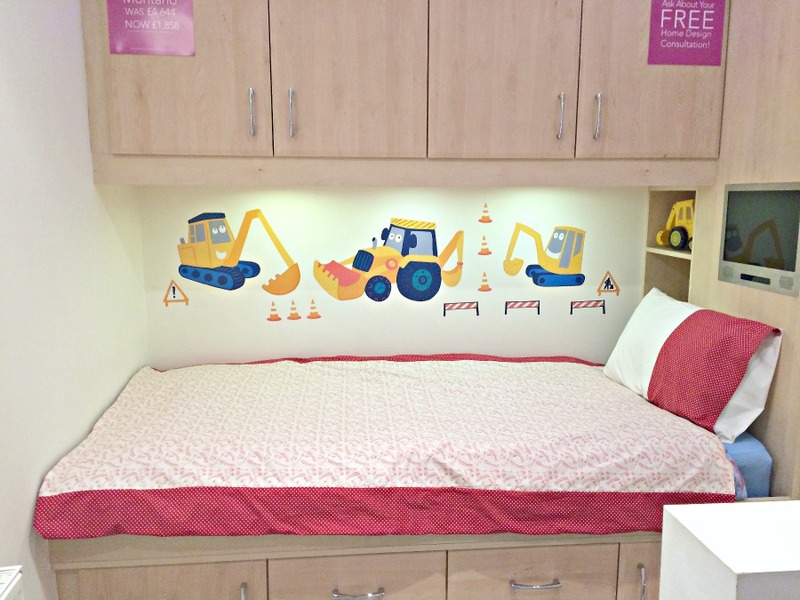 In the meantime, I got my craft skills out and made this cars, trucks and trains duvet set for Buba’s bedroom at the Betta Living Event in Manchester. I couldn’t believe I could whip up a duvet cover and matching pillow case in one night. We had a great night though and I learned a lot. What do you think of my sewing skills? I have four fantastic Christmas giveaways going on right now. Come check them out and get your entries in to WIN! Many of them will make great Christmas presents too! Just click below! You have been sick for too long! I hope you get checked out and get well soon. I love your vlogs, so keep it up please! Missy Moo is just super cute! The duvet and matching pillow look amazing! I love sewing but get easily frustrated! Nice skills you have there 😉 I hope you and your babies will recover as quick as possible!! Thank you. Oh it’s not skills I had a coach over my shoulder telling me what’s next. I get frustrated with it as well. lol It turned out better than I expected though. Poor you Jenny, you have been poorly for ages. I really have no idea how you manage to be sick and still do as much as you do! A real-life Superwoman! Thanks girl. Yes roll on at your house. Hahahaha cant wait.